​Broadway Bound Kids partners with the Broadway community and the creators of The 25th Annual Putnam County Spelling Bee to present the Broadway Bee! 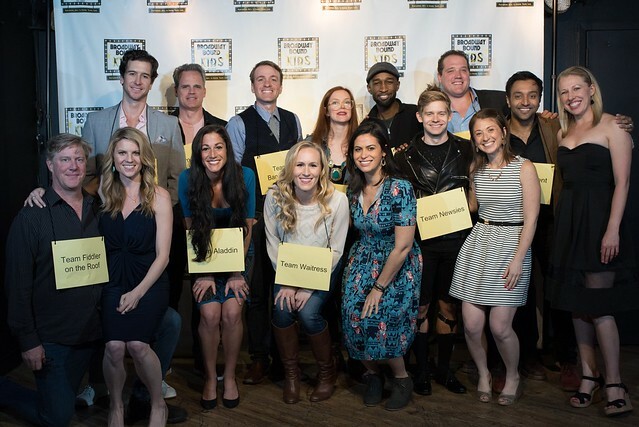 In this hilarious, live event, Broadway stars compete to win the Bee! ​The Broadway Bee is an adult spelling bee competition between Broadway shows. The more funds each team raises, the more lifelines their speller will get to win the Bee! All proceeds benefit Broadway Bound Kids, an NYC arts education nonprofit. 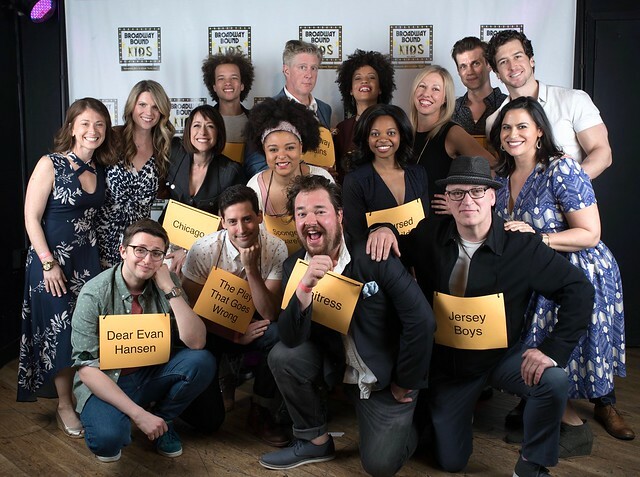 ​Support your favorite Broadway Team to help them win the Broadway Bee! ​10 Broadway performers will be spelling in the Bee, and each speller needs a support team of 10-15 people. Anyone from anywhere can join a team: fans, friends, family, Broadway cast and crew members, etc. The more money each team raises, the more lifelines their Broadway speller gets to help them win the Bee! It’s like a pledge-a-thon! But, instead of jogging or biking, we’re spelling. Team members who raise $500 or more get a FREE ticket to the Broadway Bee and prime seating! ​Make a tax-deductible donation, and your support will help ensure that all Broadway Bound Kids have access to the performing arts regardless of their financial resources. The Broadway Bee is a one-of-a-kind, live event, on Monday, May 6 @ 7pm, at Le Poisson Rouge in New York City. ​If you would like to purchase tickets to by phone, please contact Sara Accardi at 347-464-9190. Performers subject to change due to availability. At Broadway Bound Kids our mission is to inspire and empower young lives through the arts by creating a nurturing and stress-free environment where kids gain confidence, make friends, express themselves, and find a place where they feel a sense of belonging and acceptance. All of the proceeds from this event will help support our FREE Saturday program, performing arts residencies in schools, community workshops, summer programs, master classes with Broadway professionals, full scale musical productions, and trips to see Broadway shows. ​Your support will help us make sure that all kids have access to these life changing programs, regardless of their financial resources. ​See what students, parents, and after school directors say about Broadway Bound Kids here! Check out programs for kids here. ​To find out more about The Spelling Bee Company's fundraisers, visit www.thespellingbeecompany.com.